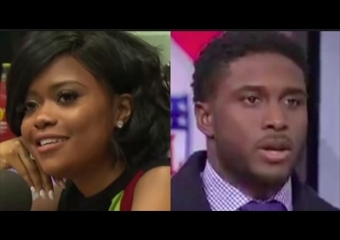 KAREN CIVIL AND REGGIE BUSH BEEFING OVER NIPSEY? Reggie Bush and his wife created a GoFund me page to raise money for Nipsey Hussle's children. "In partnership with GoFundMe and with the help of our marketing team over at CAA, we have been empowered by Lauren London, Nipsey's girlfriend, to put together a GoFundMe account that directly benefits Nipsey's two kids, Emani and Kross," said Reggie Bush. Karen Civil was not felling this whole situation and had good reason not to. "I understand you’re motivated and want to help, but there are other ways. His family already asked you NOT to do this. People are literally grieving over a husband, father, brother, uncle, friend and someone who meant so much too so many people. This is not the time for this," Karen tweeted to Reggie. "You asked prior to do this and was told no by family, but did it anyway. You never once spoke to Nip in the gym the many times you saw each other." This is the reason i decided to post this story. Reggie Bush seeing Nipsey at the gym and not even acknowledging him is wack as hell and now very suspect to create a go fund me page for Nipseys family. What is his motives?